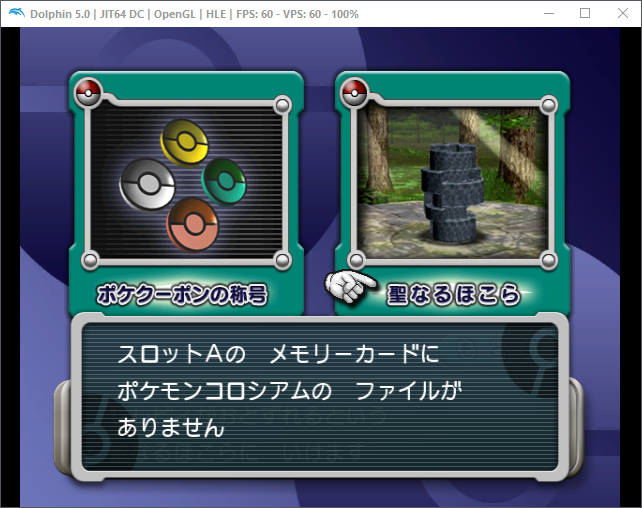 I've downloaded a save file from the Internet which I happen to know to work, but the Celebi Bonus disc and the game don't seem to recognize it at all. I have imported it into Memory Card A. What is your setting at Config -> GameCube -> Device Settings -> Slot A? 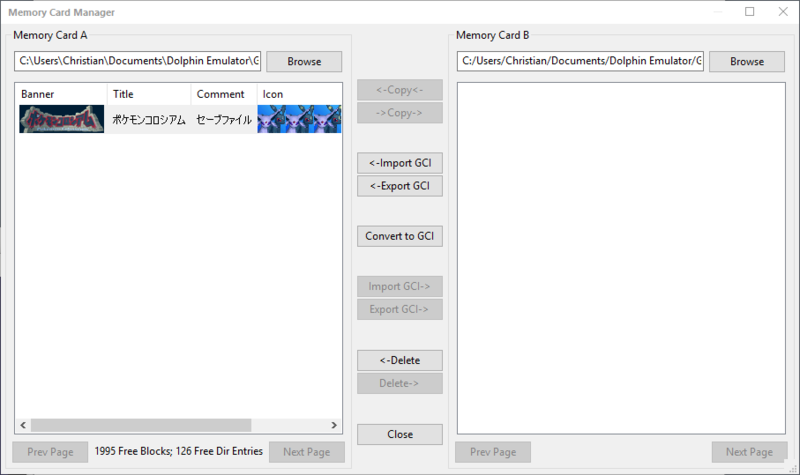 If it is "GCI Folder" (I think it is the default one), you have to put the .gci-file into Dolphin Emulator/GC/JAP/Card A/. You can use "Export CGI" to get an .gci-File to work with. (12-12-2016, 04:43 AM)Neui Wrote: What is your setting at Config -> GameCube -> Device Settings -> Slot A? Slot A is set to Memory Card. The memory card is formatted to NTSC-J so I have no idea why it's not working. I've even tried running it from the GCI Folder with the GCI file in the appropriate place but that doesn't work either. Maybe some sort of exception for this game? what's the full filename of your memorycard in the screenshot? (12-12-2016, 08:34 AM)LPFaint99 Wrote: what's the full filename of your memorycard in the screenshot? EDIT 2: I see you've solved this problem here, perhaps the issue here is similar?